Ag Innovators Network is a committed online networking platform with the goal of connecting world leading agricultural professionals, researchers and farmers together through modern technology to grow your businesses. Each month we will host an online workshop where you will be given the opportunity to hear from some of the foremost thought leaders, researchers and gurus of the industry. Every workshop will have significant time set aside for members to interact and ask questions of some of the best minds in agriculture today. If you’re ready to grow your business, increase your networks and be at the fore front of agriculture then Ag Innovators Network is the place for you. to test our network today. Who is AG Innovators Network for? What is AG Innovators Network? Your networks in life and the people you spend the most time with often determine your outcomes. Recent research has outlined the possibility that your are far more connected with the people around you than you think, and that those networks stretch well beyond the maxim’s five person prediction. We live in a unique time in the history of the planet where we can access in real time people from anywhere. We can choose the influences on our life and the people we associate with, so why not associate with the brightest minds possible? Ag Innovators Network is a membership portal that gives you access, through internet technology, to the brightest minds in agriculture and business. You can access it from your home office or smart phone or tablet, giving you the opportunity to learn from the best people possible on the future of agriculture and how they run their business. Through monthly online workshops with high performance agri experts from around the world with content driven by member input you will get access to listen to and ask questions of top experts in their field. Worried that you won’t be able to get online for an event. That’s okay, you can send your questions in before the event and watch the event back at any time through your access to our members portal, all member only events will be recorded for you to access at a later date. Robert is one of the leading agri business professionals on the planet today. His background from a family farm in Alberta Canada to founding Agri Trend a large ag consulting and coaching business boasting 150 employees including 35 phd’s. Rob’s advice has been sought by prominent people such as Bill Gates as to how agriculture can help feed the growing world population. He is now CEO of DOT retail ready the autonomous robot farming platform for broad acre agriculture. 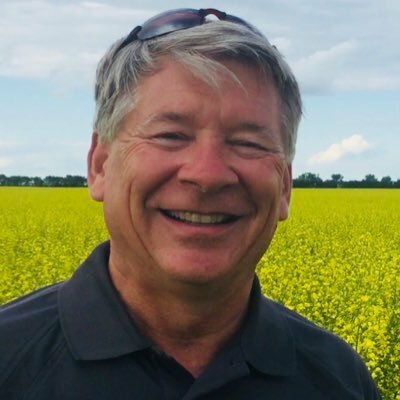 Robert Saik will take us on a journey of agricultural advancement that sees us at the dawn of Agriculture 5.0; a convergence of technologies that will re-shape the future of food production. Agriculture 5.0 is about breaking down silos and interdisciplinary barriers to formulate a new type of agriculture that holds the promise of long-term sustainable food for all. The “convergence” is about how many technologies are coming together to impact the farm in amazing ways at a speed never experienced before in our sector. This fast-paced, energetic presentation will delight and amaze; welcome to Agriculture 5.0.
from the best experts on agri production and business. network with other like minded farmers and agri business professionals.